The Bulgarian lands have been inhabited since prehistoric times. Before the arrival of the Bulgars in the seventh century, these lands were populated by Thracians, Ancient Greeks, Romans, Byzantines, Slavs and others, who have left monuments of great value, enriching the world’s culture heritage. 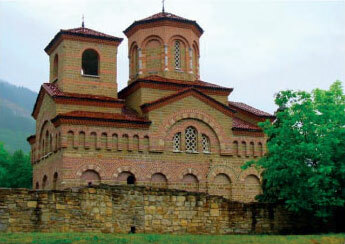 Bulgaria is a land brimming with history – and a perfect place for a cultural-historical tour. The Bulgars, led by Khan Asparukh, defeat the Byzantine army at the Danube and take over the territory south of the river. 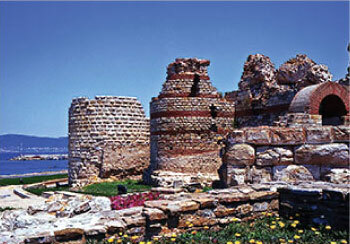 Asparukh founds the First Bulgarian Empire, with Pliska as its capital. Cyril and Methodius create the first Slavonic alphabet, thus making the Bulgarian language the fourth literary language in Europe. Tsar Boris I adopts Christianity as the state religion. Bulgaria falls under Byzantine rule. The noblemen Petar and Asen lead a successful popular uprising against Byzantium, proclaiming the Second Bulgarian Empire in Veliko Tarnovo, henceforth its capital. Tsar Ivan Asen II expands Bulgaria’s frontiers, winning territories from the Adriatic to the Aegean. Bulgaria falls under Ottoman rule. The monk Paisii of Hilendar writes A Slav-Bulgarian History, marking the beginning of the National Revival (the Bulgarian Renaissance). Bulgaria liberated after five centuries of Ottoman rule by the Treaty of San Stefano (signed on 3 March), according to which it was to regain most of its former territories. The Congress of Berlin (13 June – 13 July) takes away two-thirds of Bulgaria’s territorial gains, partitioning the rest into an independent Principality of Bulgaria, and Eastern Rumelia, an autonomous province of the Ottoman Empire. 6-th September: Unification of Eastern Rumelia with the Principality of Bulgaria. Ferdinand I of Saxe-Coburg-Gotha elected Prince of Bulgaria. 22 September: proclamation of independence of the Kingdom of Bulgaria. Ferdinand becomes King (Tsar). First Balkan War: Bulgaria, Serbia and Greece against Turkey. Second Balkan War: Bulgaria is defeated by Serbia, Greece, Romania and Turkey, losing territory on all sides. Bulgaria joins First World War on the side of the Central Powers. Peace Treaty of Neuilly: Bulgaria loses territory on all sides. Political instability under King Boris III. Bulgaria joins World War II on the side of the Axis Powers. 8 September: Soviet army crosses into Bulgaria. 9 September: coup d’etat, Fatherland Front government takes over. Proclamation of the People’s Republic of Bulgaria, with a Soviet model of development. Todor Zhivkov is elected First Secretary of the Central Committee of the Bulgarian Communist Party. 10 November: Todor Zhivkov ousted from power. First free elections in Bulgaria. Bulgaria invited to join the European Union. Bulgaria becomes a member of NATO. Prime Minister Simeon Saxe-Coburg-Gotha signs the Treaty of Accession of Bulgaria to the European Union. 1 January: Bulgaria becomes a member of the European Union.